I love these little fabric nesting baskets! They are perfect for organizing your office, counter tops, baby’s room, or anywhere else you need an attractive storage solution. 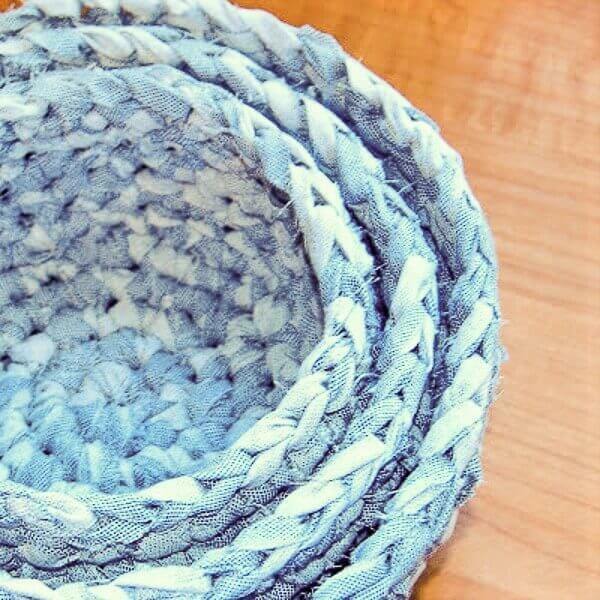 The fabric yarn used to make these baskets gives them a cozy charm and makes them more durable to use for storage than baskets made from regular yarn. You can make your own fabric yarn with my tutorial Making Fabric into Yarn. Or if you prefer you can just as easily work these up in T-shirt yarn (<- affiliate link).